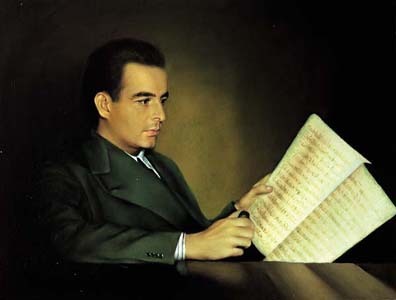 First performance of 28-year-old US composer Samuel Barber‘s (*)(*) famous Adagio for Strings. Arturo Toscanini conducts the NBC symphony for a small live audience and a radio broadcast, recorded and preserved in the National Recording Registry. Barber is part of a US group (e.g. Aaron Copland) which joined with ‘French school’ neo-classicism (*), avoiding atonal, serial music in favor of much more popular tonal, lyrical works. Barber’s 1931 The School for Scandal, a lively overture for a play by 18th-century Irish playwright Richard Sheridan, is another popular work. His Piano Concerto Op. 38, which premiered in NYC on Sep. 24, 1962, won him a second Pulitzer Prize for Music.